Alex Vagelli looks over the Banggai cardinalfish he keeps in his lab in New Jersey. 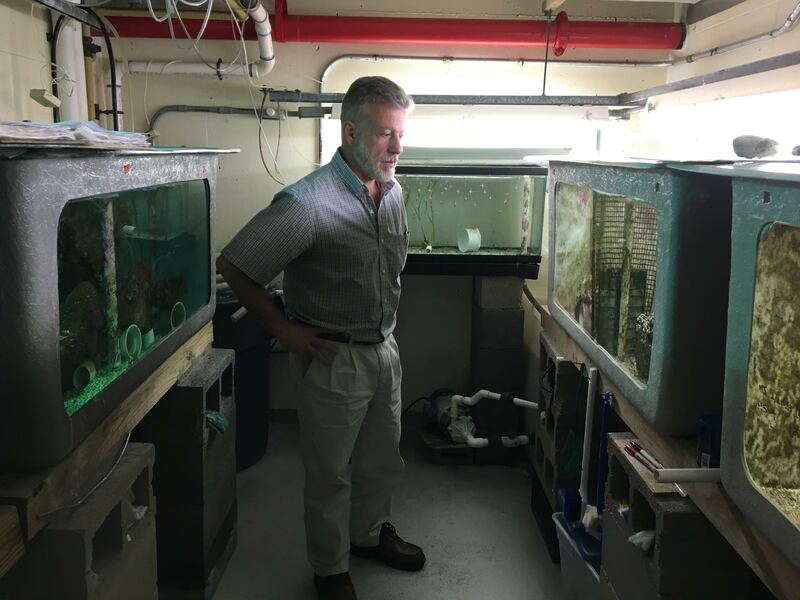 Alex Vagelli is the no-nonsense director of science and conservation at the Center for Aquatic Sciences — a research center at Adventure Aquarium in Camden, New Jersey. In 1995, the aquarium received a shipment of Banggai cardinalfish, which is a peculiar reef fish from Indonesia. Vagelli found himself traveling to and from Indonesia for the next 20 years, studying this fish and documenting its precipitous decline. He became invested in its protection. But so far, conservation efforts have proven elusive — a familiar story when a stubborn, determined scientist confronts the political motivations of international regulation.